Guess what dropped this week??!! 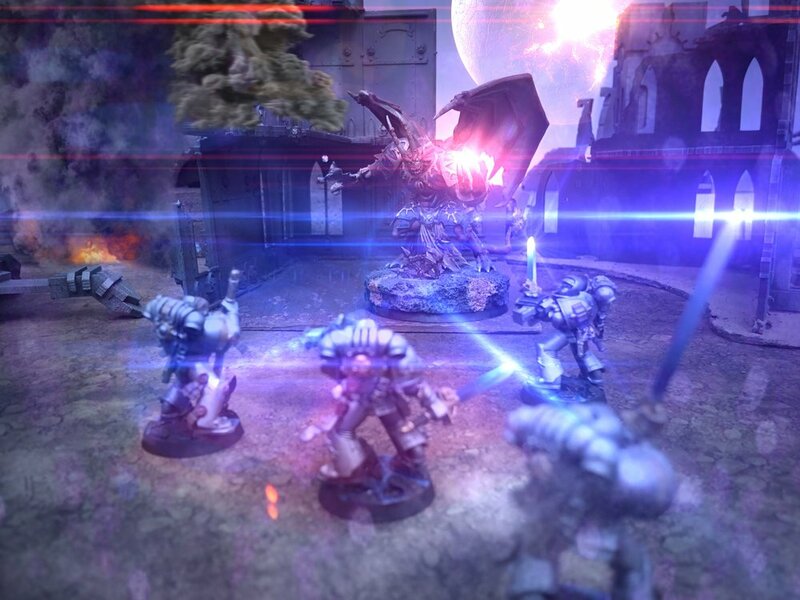 A new teaser for a tool helping our forlorn Astartes brothers! Thanks to a leak, we now know that the February issue of White Dwarf has some juicy reinforcements for all units with the Adeptus Astartes and Heretic Astartes keywords. For your reference, I’ve reproduced the Warhammer Community image below while I write about what this means for Space Marine (and CSM) players. While technically a beta rule, we should expect to see most tournaments pick this up (as they have with all the beta rules released in previous FAQs so far) and this rule to be made canon in some form or other down the road. Pretty much any “bolt” weapon that is a rapid-fire type weapon. Sadly, that means that Aggressors are not getting the loving end of the stick here. So which units got buffed by this elegant addition that in all likelihood, kept many Astartes units at their current cost or prevented from getting a larger points drop? The biggest winners here come from the third criteria. All models with the above-mentioned keywords and one or more of the following keywords are affected: Terminator, Biker, Centurion, Vehicle. That means that all these units can fire their bolt weapons at double the profile shots all the time and not just while within half range. 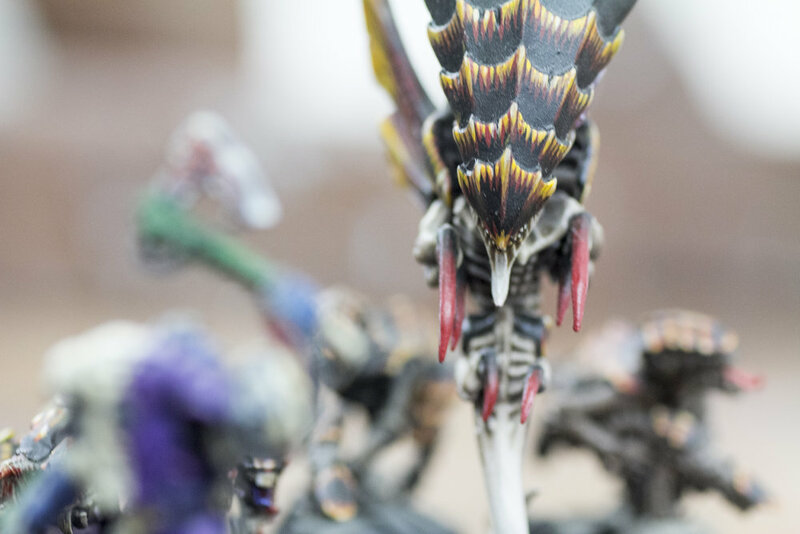 34 point regular terminators can now start on the table and be effective rather than be relegated to a deep strike-only role (whether they’ll be used however…will still be up for debate). At 165 points (power sword for sergeant) for 20 S4 shots at 24”, it might simply be better to bring 10 Death Watch Veterans that can do the same for 160 points but have double the output when they stand still (vs being able to move and fire with full effect for Termis). Whether the increase in survivability of the 5 Terminators vs 10 DW Vets will largely be determined by your opponent and local meta and how many 2 damage shots you will face. Thousand Sons’ Scarab Occult Terminators benefit a lot from the increased range as their Inferno combi-bolters are deadly to more heavily armoured foes and they move fairly slowly so this Turn 1 threat range helps with players looking to get some use of of their nicely painted Scarab Termis. Ravenwing Bikers (arguably the best Bikers a man can get… =P) have gotten a bit of a buff recently via a points drop and a Specialist Detachment from the Vigilus campaign book. With the beta bolter rule, they can now contribute to a “Signal the Attack” strat at maximum effectiveness while within 24” of the target. It keeps them more at arm’s length (rather than get charged with 100% certainty the next turn if their target is not obliterated) which keeps with the Bike doctrine of performing hit and run attacks and extends their effective threat range to 38” (14” move, 24” boltgun), allowing them to hit the majority of enemy targets if they start on their own deployment line as opposed to only targeting forward-deployed enemy units or those that also deploy on their front line on Turn 1. Regardless of survivability issues (T5 3+ save only gets you so far), I look forward to the increased flexibility and threat that this additional 12” gives them. Crimson Fist Centurions are already all-stars in the Chapter with “No Matter the Odds” and “Bolter Drill” and this improvement puts them at the forefront of the anti-horde *coughORKScough fight. While all other Codex Chapter boltgun Centurions got better as well, none see the same level of improvement as the Crimson Fist ones. Worth mentioning is the double lascannon loadout with hurricane bolters in case your list needs additional anti-tank firepower. With the hurricane bolters being able to fire the full 12 shots at 24”, 36 S4 shots will still put a dent into more horde units. 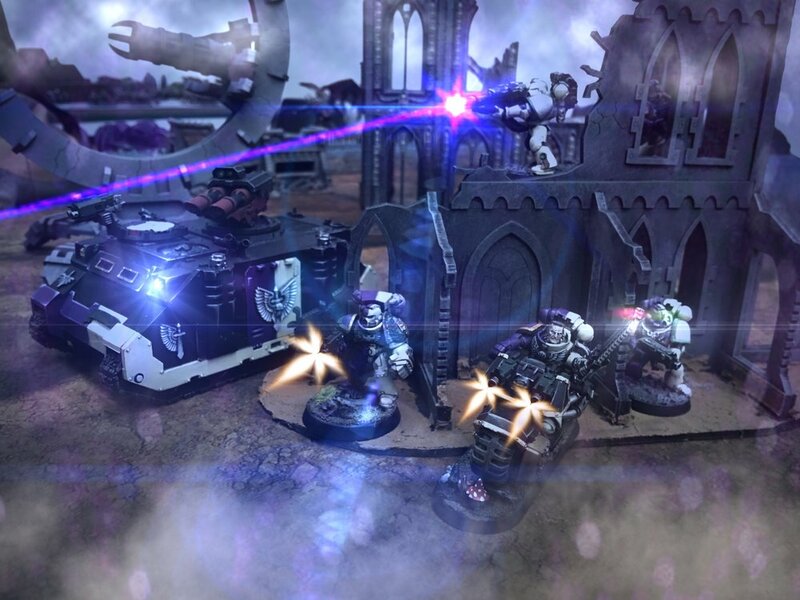 All vehicles chassis and dreads that can take a storm bolter or two and Drop pods (heh…). These will be minimally affected. While the benefit to the SR and DA Dark Talon is minimal considering their movement range, the increased threat range of the other 3 land-based vehicles is considerable and the Repulsor (though it only has 3 storm bolters) is already played alongside Bobby G in some lists. 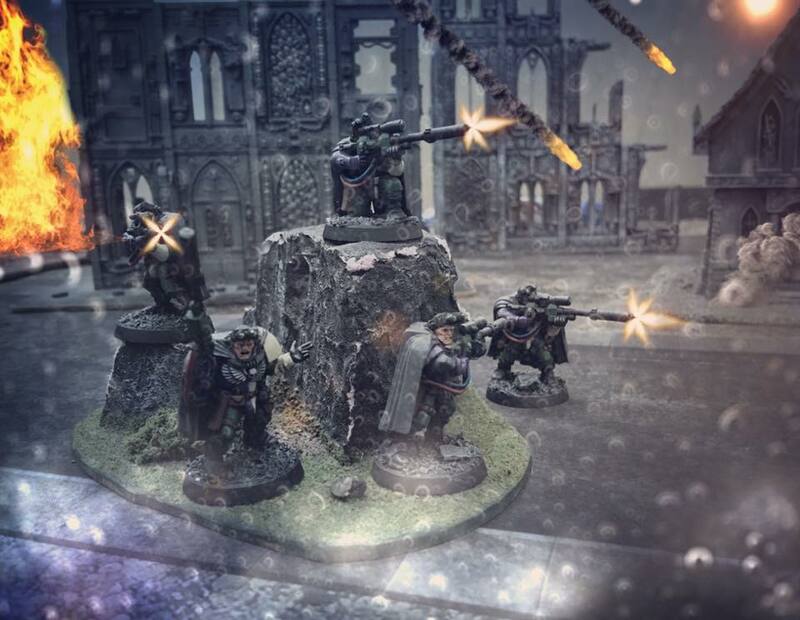 While the largest effects of the beta bolter rule are going to be seen by models wielding Storm bolters and Hurricane bolters, I foresee the incremental increase useful for Intercessors as well (sorry Reivers, looks like you’re going to stay in the “looks good but meh…” cabinet for awhile longer more). 40 S4 Ap-1 shots from 30” out for Indomitus Crusade Veteran Intercessors is a credible threat (though at a total cost of 3CP due to the need to pay CP for the Specialist detachment and then another for the unit to be Veterans) although they will likely be in the thick of the fighting due to their increased attack profile from the Vet Intercessor strat. Scouts in choice cover spots can double their contribution to the battle up to 24” now as well. 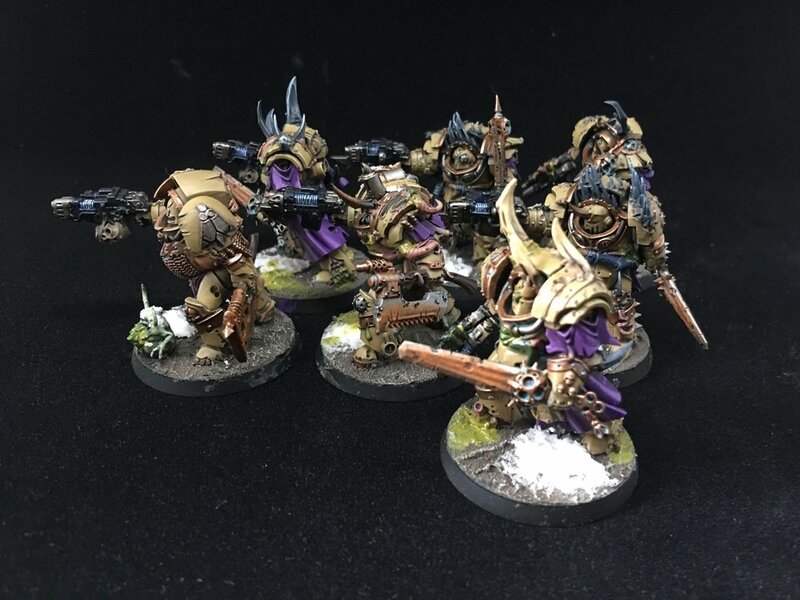 Death Watch Veterans can probably benefit the most out of all the “basic” units with bolt weapons due to their use of Special Issue Ammunition with Storm bolters (move aside Sternguard). 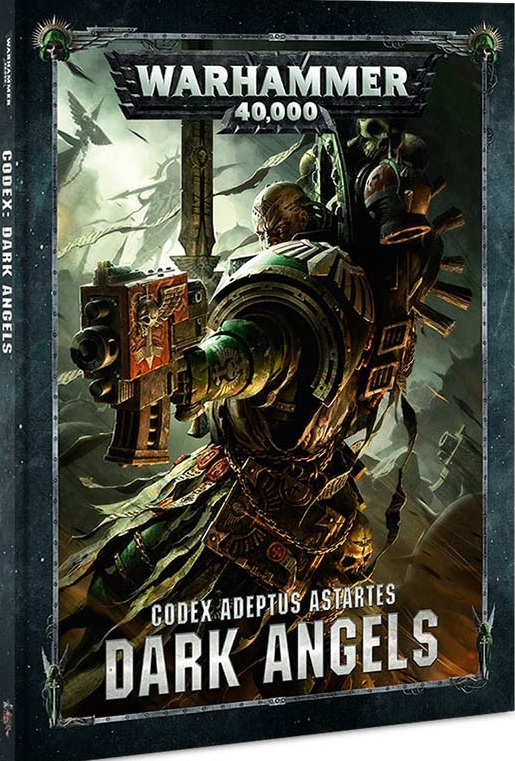 Beyond the obvious benefit to Abaddon and Calgar’s shooting, a Dark Angel character with the Huntsman warlord trait and the Foe-Smiter relic can target enemy characters with 4 S4 ap-1 Dmg2 shots at 24” if they remain stationary or while moving if they are wearing Terminator armour (sorry, no Bike mounted characters able to take the Foe-Smiter in DA). I’m not sure if any other Space Marine or Chaos Space Marine chapters are able to have a warlord trait or weapon able to pick out enemy characters so do leave a comment below if you know of any others able to use this combo. The Deathwing Assault stratagem gets much better with 24” effectiveness for large units of Deathwing Terminators with storm bolters too. Their main inefficiency was the inability to find multiple good targets for their 40 storm bolter shots with only a 12” rapid fire range and having to be more than 9” of enemy models when they dropped. With the beta rule, they are a lot more likely to kill 2 units or be able to target a large infantry unit twice when they deepstrike in. At 264 points, a Land Raider Crusader that can hold Deathwing Knights got slightly better as well now that it can contribute to the fight on Turn 1 while moving up the field rather than choose between firing only its Twin Assault cannons or advancing to reach the 12” rapid fire range for its hurricane bolters previously. Grey Knights are a bit of an odd duck with the beta rule. 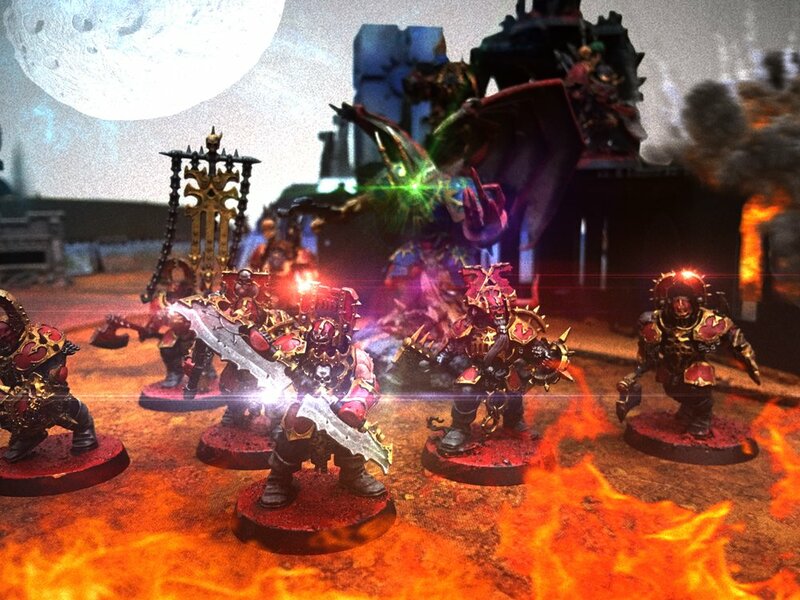 While they do use storm bolters almost exclusively, each model also has a melee weapon that does d3 damage and to make full use of that, you would want them to be moving toward the enemy most of the time. I suppose it’s useful in situations where you might want to hold an objective with a Strike Squad and they can fire up to 4 shots at 24” while remaining stationary. I would imagine the rule to be more helpful in terms of positioning and for GK Terminators to be able to shoot units hiding behind a screen when they (the termis) arrive from deep strike. Regular GK can’t do that as they’d count as moving on the turn they arrive and can only fire their storm bolters to maximum effectiveness up to 12”. All in all, I think this is a good change and I look forward to the additional variety of armies we’ll see in tournaments even if this change doesn’t shake up the meta (I doubt it will). 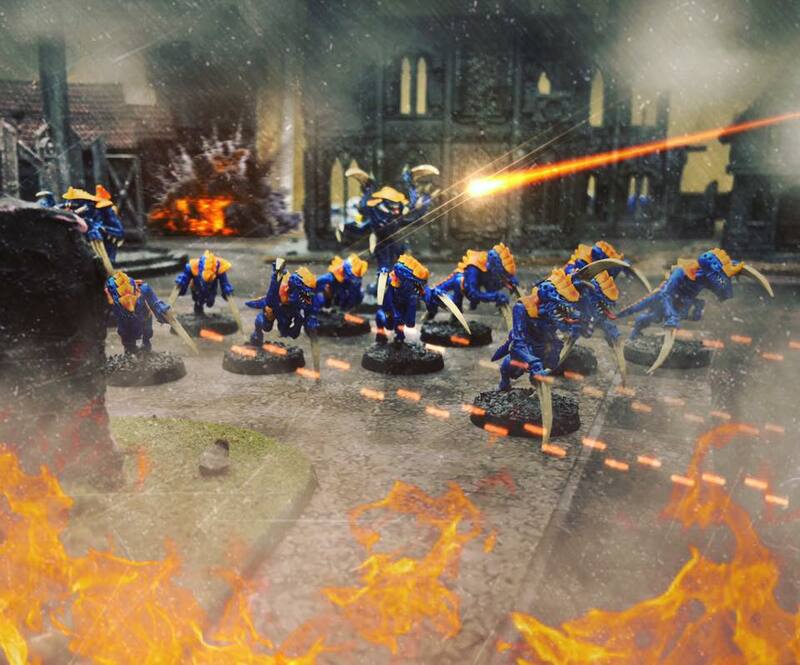 I’m currently in the process of writing an article of how this has been the best and most diverse edition of 40k we’ve seen to date (rule-wise) and this only adds to that opinion. As always, feel free to check out our old articles at https://benmchia.wixsite.com/th3crossroads and if you like the content The Crossroads generates and would like to support us, you can subscribe to or simply make a one time donation to our Patreon here or via the button below.